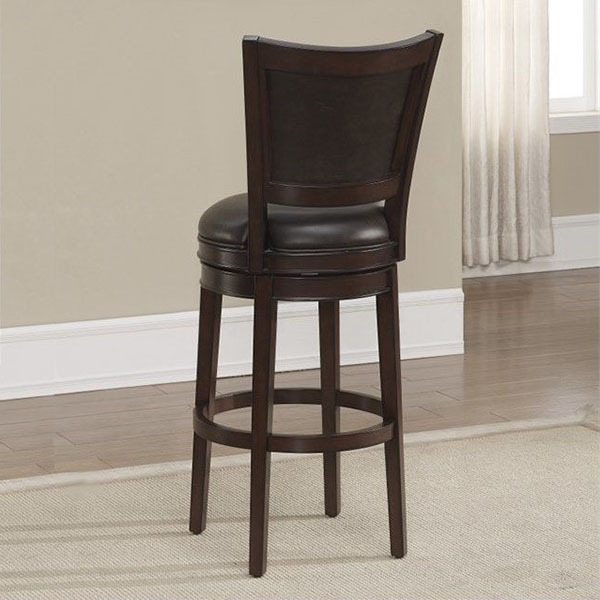 The Shae Counter Height Stool, constructed in a Navajo wood finish, is well rounded and remains compact. It can easily be pushed under your counter space to make room for other festivities. Then, when pulled out for use, it features a comfortable 3’’ cushion that sits on a swivel mechanism that allows for 360-degree turning. That can be important in smaller spaces or rooms that have a lot going for them. Should a chair be stationary, the person seated would have to choose between focus on the counter or the events going on in the background. The swivel seat gives new heights of involvement to those seated. The high back backrest is supportive, and the footrest gives an extra nod to comfort seating. 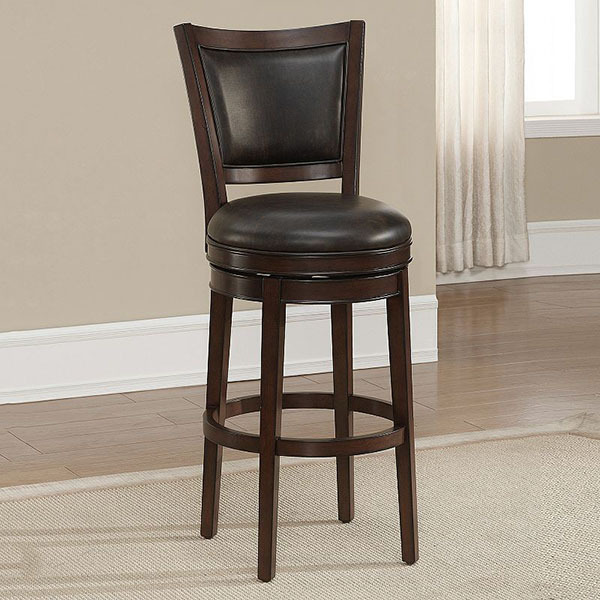 Find out what would make your kitchen counter really shine; the classic and compact Shae Counter Height Stool with comfort features could be the one piece that will pull the room together!